In the 1980s before the Brooklyn Chinese-American Association (BCA) was founded, Eighth Avenue in Sunset Park, Brooklyn was depleted. The closing of the Brooklyn waterfront, the main source of employment for the Scandinavian immigrants in the neighborhood, had devastated the local economy. Real estate values plummeted and the crime rate crept alarmingly higher each year. Long-established families who lived in the largest registered historic district in New York State sold off their elegant limestone row houses and fled to the suburbs. Soon, close to 90% of the storefronts on Eighth Avenue were vacant. At the same time, the Chinese had already begun to move in. By 1988 there were approximately 3,000 Asian-Americans and 12 Asian-American-operated businesses in Sunset Park. Some were new arrivals from abroad, and others had come from the Manhattan Chinatown area. The Chinese had found a new frontier in Sunset Park. Property was relatively inexpensive and space was readily available. To the Chinese, the long-forgotten strip called Eighth Avenue was full of promise. After all, in the Chinese language, “Eight” is a lucky number since it sounds like the word for “prosper”. Hoping to fulfill dreams of economic success, this first wave of Chinese immigrants began to settle in the area. Those who could afford to buy bought up abandoned properties; the rest would rent. The commute was also quick and simple on the N train to jobs in the Manhattan Chinatown. Coming home, recent immigrants who didn’t know English would know which stop to get off because the Eighth Avenue Station was the first stop in Brooklyn above ground. The Chinese would call this station the “blue sky” station, a term that not only aided those who couldn’t read the English signs, but also carried with it a sense of optimism. This place was where you emerge from the tunnel, where you escape darkness for the light. And what the Chinese had developed in Manhattan Chinatown, they would build in Brooklyn. First a few Chinese grocery stores opened up. Then restaurants moved in. Even garment factories, a major employer of Chinese-Americans, were established in the industrial outskirts of Sunset Park. But for all the comfort that the Chinese immigrants could find in their new neighborhood, they realized there was still a significant obstacle hindering them from achieving their dreams of prosperity. They had created their own world, but they were isolated from the larger world of New York City and the United States. Notices in English about social welfare and other literature crucial to their daily life usually went unread. One individual - Paul Mak - then decided to take on the responsibility of addressing the growing needs. He was a project manager for a non-profit organization that sought to develop the depressed local economy on Eighth Avenue. In 1987, at a community town hall meeting held by Mak’s organization that attracted over 250 people, about fifty Asian-Americans voiced concerns that were specific to the Chinese community, among them a shortage of bilingual support systems for immigrants. After the meeting, the idea for a social services agency for Brooklyn’s Asian-Americans was conceived. On January 19, 1988, the Eighth Avenue Community Chinese-American Association of Brooklyn was officially formed in the Veterans of Foreign Wars Hall at 3906 Eighth Avenue. The organization had a humble beginning with only a handful of people providing limited social services on a voluntary basis, helping immigrants who had low English proficiency with issues related to government social programs. The response from the community was tremendous; lines of people clutching letters and forms stretched out the door. Realizing the need for individuals who could devote themselves full-time to the Association, Paul Mak resigned from his salaried job in 1990 and became the Association's first full-time volunteer. In the following years, this fledging organization grew with the rapidly expanding community. It became the Brooklyn Community Chinese-American Association, which later flourished into what is now known as the Brooklyn Chinese-American Association (BCA). One could perhaps attribute BCA's success to both vision and initiation. To put the remote Eighth Avenue community on the map, in less than a month after its initial establishment, the Association accomplished its first large-scale project - a Lunar New Year Parade in Sunset Park. This joyous celebration held on a dreary street brought together people of diverse ethnic backgrounds, and successfully marked a turning point for Sunset Park. Media attention brought focus to the growing Asian-American community in Brooklyn. Within one year there was a 300% growth in business and in the Asian population in Sunset Park and surrounding neighborhoods. No one could have ever conceived of a “Brooklyn Chinatown” before 1988. After the parade, a “Brooklyn Chinatown” seemed inevitable. On August 22, 1988, a high school student named W.H. Mui was robbed and killed in Sunset Park. His family members, unfamiliar with the legal and criminal justice system of the United States, were at a total loss. Having learned about the case from the newspapers, BCA approached the family to offer assistance. While raising funds for Mui's memorial and working intensely with the local police precinct, BCA utilized its relationship with the local community to help trace the suspect, and eventually obtained information leading to the capture of Mui's killer. Since the solving of this first homicide case, BCA realized that its commitment to the community needed to go beyond mere translating government documents into Chinese. Its mission should be greater; it should become an active liaison between the Asian-American community and the city and state government. With this mission in mind, BCA began its close relationship with the New York City Police Department. A Crime Victim’s Hotline was established soon after the Mui case. A petition was initiated, resulting in the assignment of the first bilingual police officer in the neighborhood. The New York City Police Department, recognizing BCA’s dedication, then asked the Association to translate its fourteen public safety tips into Chinese, and subsequently commended BCA with an award of recognition. BCA also worked with the NYPD to eliminate Asian youth gangs in the area, allowing the Brooklyn Chinatown to proudly emerge as the first Asian community in New York City to eliminate the problem of gang violence problem. The year 1990 was eventful. BCA held its first fundraising dinner, and received its first government grant of $8,000 from the New York State Office of Mental Retardation and Developmental Disabilities. During the same year, BCA also began to collaborate with Lutheran Medical Center and other agencies to conduct the first major community needs survey in the Sunset Park Asian Community, which revealed its population growth and needs for various services. Based on the results of the survey, Lutheran Medical Center developed the first bilingual medical clinic in Brooklyn for the local Chinese, who had previously had to travel to Manhattan to receive services. In 1990, the Association relocated to a larger office at 5313 8th Avenue. The future then seemed bright. No one, however, could have foreseen the effects of 1991’s economic recession. As the City and State struggled with the budget crisis, promised grants were frozen or cancelled all together. The lack of government funding meant major crunch for non-profit organizations like BCA. Unpaid bills led to utilities and phone lines being terminated. Dedicated staff worked voluntarily for months before receiving their paychecks. Bomb scares and death threats from local gangs were directed at the Association. A complete shutdown of the Association was scheduled for April 1991. However, Paul Mak was instilled with the same diligence and optimism as the community he served. His perseverance and tenacity kept BCA alive. Miraculously, he was able to revitalize the Association through exploring and securing new funding, and was even able to rescue some of the promised funding awards that were expected to be cancelled. In late 1991, BCA implemented youth after school program. In 1992, BCA initiated the LPN and Nurse’s Aide Training Program. In 1993, BCA started providing adult literacy program and established the 8th Avenue Senior Center. In 1994, BCA renovated an abandoned garment factory building on 5000 Eighth Avenue, converting the first floor into a day care center and established its Main Community Development Center on the second floor. In the years that followed, BCA has concentrated its efforts on providing much-needed services in six major areas: early childhood educational services, youth services, adult educational programs, social services, senior services, and community involvement and activism. BCA’s first early childhood educational program started in September of 1995. After much effort, BCA secured government funding to launch two UPK programs for the four-year-olds in 2000 and two full-day childcare programs in 2003 to target the needs of low-income families with working parents. Today, more than 700 pre-schoolers are enrolled in BCA’s eight day care centers which provide full day early childhood educational services through its Universal Pre-Kindergarten program, ACS program as well as Head Start program. BCA's efforts to strengthen families also extend to the youth level. Currently, BCA’s after-school programs serve more than 1,000 public school students daily at several public school buildings in the neighborhoods of Sunset Park, Borough Park, Bay Ridge, Sheepshead Bay, and Bensonhurst. Every summer, BCA operates a Summer Day Camp that serves over 2,000 students. To broaden understanding of Chinese heritage among the youth, BCA established the Chinese Cultural School in 1997. Thanks to continuous community support, the school has thrived into a model language school that received recognition from the City Council in October 2001. Since its initial establishment, the school has grown significantly. Class offerings have been expanded and even non-Chinese students have enrolled into the school. Since 1993, BCA has been implementing adult educational programs. Today, BCA offers intensive ESOL classes at various levels aiming to improve the students’ English skills in areas of reading, speaking, writing, and listening. The classes greatly assist the new immigrants to overcome their language barrier and to assimilate into the main stream culture. Bilingual social services in areas of Social Entitlements, Housing, Food Stamps, Citizenship, Immigration, Crime Victims Compensation and Application Assistance services remain the core of BCA’s social services offered for diverse age groups. BCA is also contracted by the Office of Victim Services to provide crime victims compensation and assistance services. Moreover, BCA implements the citizenship program. Those who plan to become naturalized can take advantage of BCA’s comprehensive naturalization services including free application assistance, application management, and citizenship interview preparation. BCA’s first senior center was established in Sunset Park in 1993. Three years later, the Avenue U Senior Center was established. In 2005, BCA established a spacious 6th Avenue Senior Center in the Bay Ridge area and another one at Bensonhurst to address the needs of Asian-American seniors in these two fast growing Asian communities. Today, BCA’s four senior centers serve an average of 700 seniors everyday. Aside from its prime commitment to the constantly growing Asian-American population in Brooklyn, BCA is equally committed to serving the broader community of New York City and the nation by being a representative of Brooklyn's Asian-American community to the larger world. Looking back at its history, BCA has always been playing the role of an active participant, organizer and leader in the American democratic process. Apart from voter registration, BCA conducted Candidates Forum in the weeks preceding the general elections. In its earlier years, BCA conducted successful campaigns that halted the production of a sludge management plant on Sunset Park’s waterfront in 1994 and the establishment of an adult entertainment zone on Eighth Avenue in 1996. BCA also led campaigns both in support of Mayor Bloomberg’s call to ban secondhand smoke in the workplace as well as protesting the Mayor’s decision to permanently close BCA’s neighboring firehouse, Engine 278. In order to better educate and enfranchise the Asian-American community, BCA has been working on voter registration and educational services. BCA also maintains close working relationship with area police precincts to ensure public safety and a safer environment for our residents. Regular Asian Community Council Meetings are held to improve communication between the police and the community. 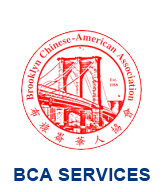 As the Asian-American population continues to shift and expand across Brooklyn as well as the rest of city, BCA seeks to augment and enhance its services to meet the population’s ever-growing needs.